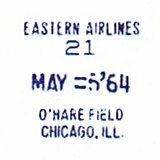 EASTERN AIRLINES 21 O'HARE FIELD, CHICAGO, ILL. 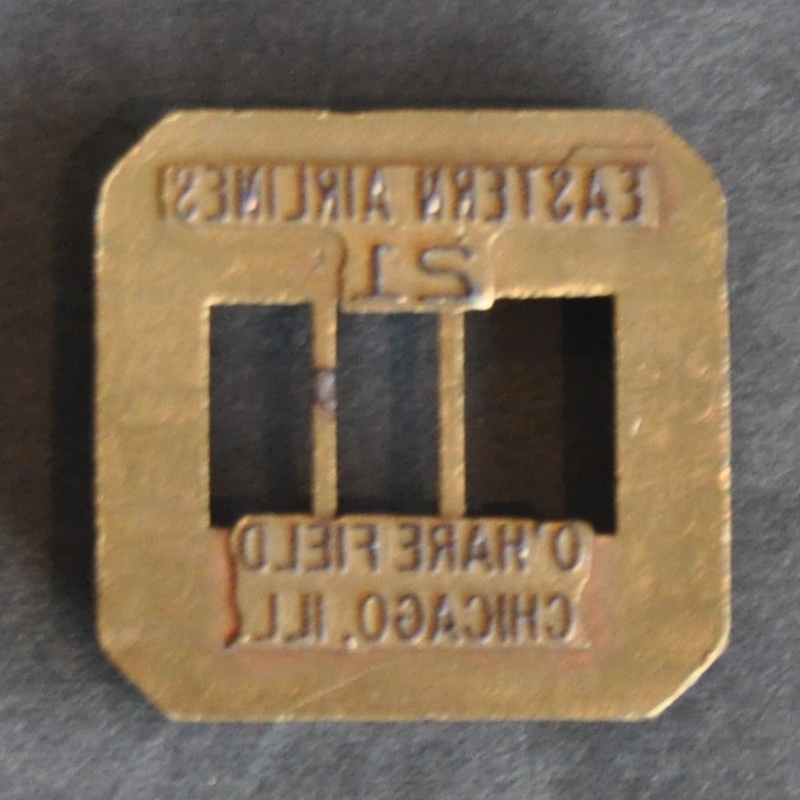 Description Eastern Airlines CHICAGO, IL (ORD) Ticket Dater Die for a Cosmo ticket validator, Position 21. 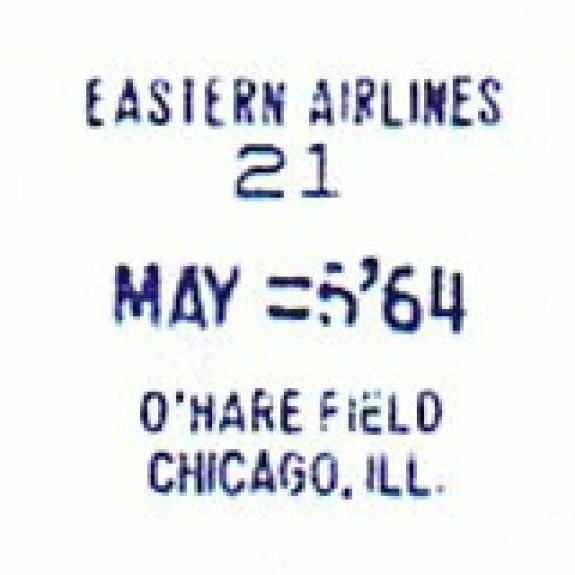 Reads: EASTERN AIRLINES 21 O'HARE FIELD, CHICAGO, ILL.